The Film Budgeting Blog Docuseries — The New Narrative Paradigm? Docuseries — The New Narrative Paradigm? Is it me or has the docuseries just exploded overnight? Ever since Making a Murderer caused an uproar on the digital platform medium there has been nothing but a consistent wave of excellent documentary series coming through the trenches. There have always been documentary series that have existed on television, particularly on PBS that were more in the traditional vein such as Cosmos: A Personal Voyage and all of the Ken Burns extravaganzas that have explored everything from The Civil War to Baseball to Jazz to Prohibition to The Vietnam War. All highwater marks in documentary filmmaking. Each episode tells its own unique story that can be viewed individually with a slight advancement in the overall timeline. However, I’m here to discuss the documentary series that provides a dramatic narrative where each episode must be screened in order, not unlike the modern television series we all binge watch (Game of Thrones, Westworld, The Handmaid’s Tale, etc.). Oddly enough, the first real docuseries that explores on ongoing narrative began as a BBC series of television and theatrical films known as the Up Series. It was a sociological profile of fourteen British children at the age of seven and would revisit each person every seven years to see their development. Beginning in 1964 the series has reached all the way up to their 56th year. Many other countries have developed their own versions through the years. It not only showcases the participants but also reflects the changing styles and techniques of television and cinema throughout the years. A must-watch for documentary cinephiles. No, with Making a Murderer we have all become fascinated with bingeworthy docuseries. The key difference is in the approach — a sophisticated narrative structure, dramatic licensing, cinematic framing and technique, creative sound design and, as equally important and sophisticated as the narrative structure, the use of music composition. These docuseries have become nearly interchangeable from any fictional series. To give you some examples, many of which I’m sure you’re all aware of since they have all become phenoms, include: Wild Wild Country, Flint Town, Evil Genius, The Keepers, Wormwood, et al. There are other examples of great docuseries but they examine one subject each episode such as DOPE, Chef’s Table, Dirty Money, and so forth. Those are great, too, but what I’m getting at is something more complicated in structure; something akin to the fictional series or novel, not a collection of short stories, not stand-alone episodes. The docuseries I’m discussing are ones that require a complete viewing and in order. What many people outside of filmmaking and critical theory enthusiasts don’t seem to always totally grasp are that documentaries are almost always constructed in a way that is antithetical to the promise of non-fiction. In other words, the way docs are framed, edited, scored and, most importantly, written, would make you almost think they were put together just like a scripted film. And you’d be correct. The misnomer that somehow documentaries are about an honest depiction of truth is wholesale absurd. To go one further, there is nothing real ever about Reality TV. It is almost universally either all staged or edited together so that drama happens even when nothing of the sort ever transpired purely through action/reaction construction with sound and music cues to underscore it. Somewhere in all of these projects lies either a template of a script or a treatment that follows some sort of narrative. Most of these docuseries have a framework to hang essential elements from including news stories, home video and photographs and testimony. That accompanies fresh interviews that help guide further research, etc. Once that all starts to pull together is usually where a story outline is broken out. 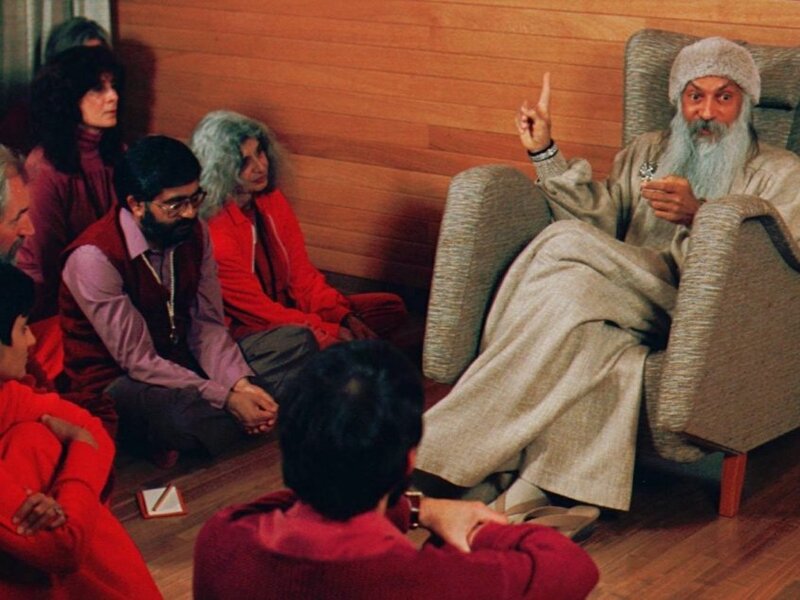 The masterful way that Wild Wild Country tells its complicated story can only be a testament to the amount of narrative writing that had to take shape. Although they do not have a credit for a so-called “writer,” in the traditional sense, it’s between the directors, an editor and a solid producer with storytelling skills to create this narrative. Occasionally, people do get an actual writing credit. Just ask Michael Moore. All this is a way of demonstrating that these docuseries are just as structured and built almost the same way as a film. The fact that the Duplass Brothers are responsible for both Wild Wild Country and Evil Genius, with more to follow, only demonstrates the fine line between fiction and non-fiction storytelling. Those two brothers were by all accounts the darlings of the independent cinema world, along with Joe Swanberg they were the epicenter of a short-lived genre known as Mumblecore. Think of it as extremely low budgeted attempts at a Casavetes-like framework. They went from low budget darlings, to large budget indie warriors to real film and television moguls that simultaneously act, write, produce and direct together and separately. If they can do it. So can you. There are so many great true stories that are left to be told. There are so many pockets of social injustice to be corrected, of special people that need to be brought to the spotlight, of the bizarreness of a world that has no limits. I feel right now the best way to actualize these concepts is to create a docuseries. Couch the story into the clearest narrative that you can, put together a treatment and a deck that includes the players involved in the story, how many episodes you think it will take and an operating budget that’s realistic (think on the lower side). I know personally I’ll be looking out for the next bingeworthy docuseries to sweep me away in the best dramas that are currently out there. It’s the perfect antidote to dudettes and duders in tights and lightsabers. Honest emotion, real life human drama, and the imperfection of a narrative that never ends. To harness that is more satisfying than adapting a million graphic novels (not as lucrative, but still…). Fantastic!! As always a fine bit of insightful writing. And a great pep talk to boot!